A lot of the parties we go to are potluck style (everyone brings something). 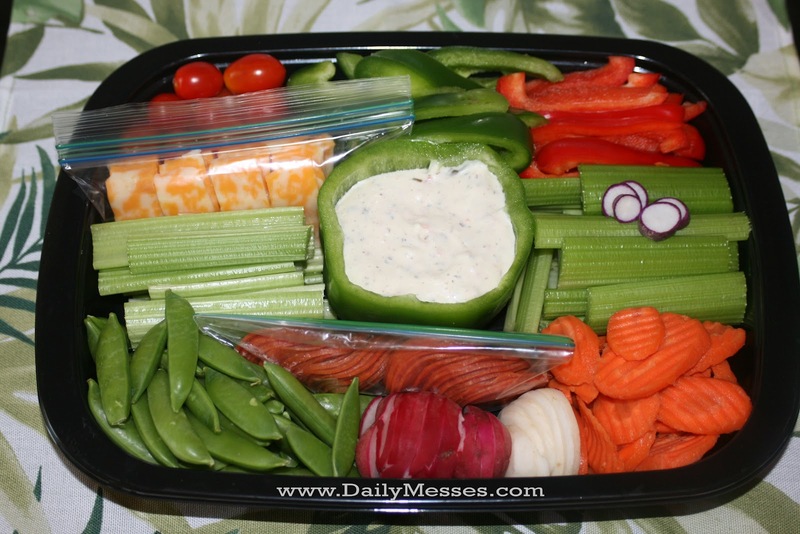 There is usually plenty of chips and other "junk" food to be had, but not a lot of veggies or fruits to munch on, so we usually bring a veggie tray. I know we'll eat it, our kids will eat it, and if I put in the right vegetables other people will eat it too. I can customize it to the party; for example, I know hubby's family loves sugar snap peas, peppers and celery and my family will eat peppers and carrots. There are so many ways to make a veggie tray unique! I like to try to make it as colorful as possible. I also like to add in pepperoni and cheese (they always go fast!). 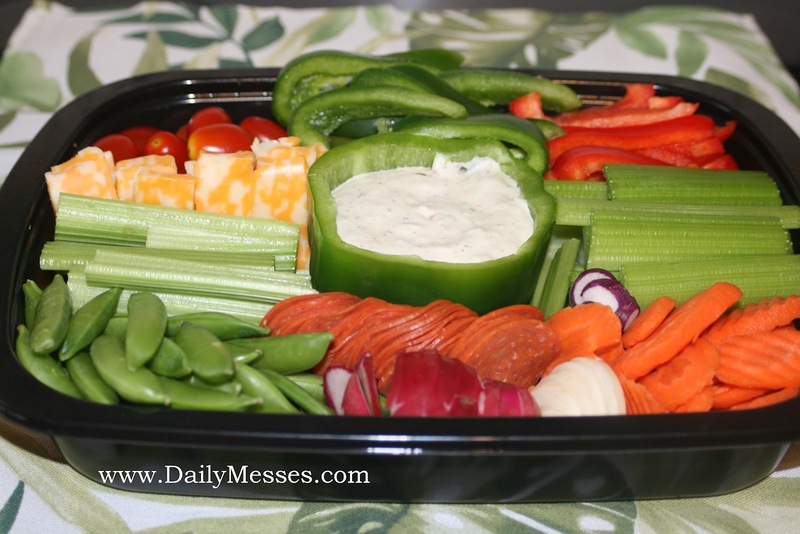 I have the usual suspects when it comes to my veggie trays: celery, carrots, peppers, sugar snap peas, pepperoni, and cheese. Depending on the group, I also like to have broccoli cauliflower, tomatoes and radishes. There are some tricks I learned along my way of bringing dishes to parties. Don't bring a dish or tray you really love to a party: it might break or become lost. 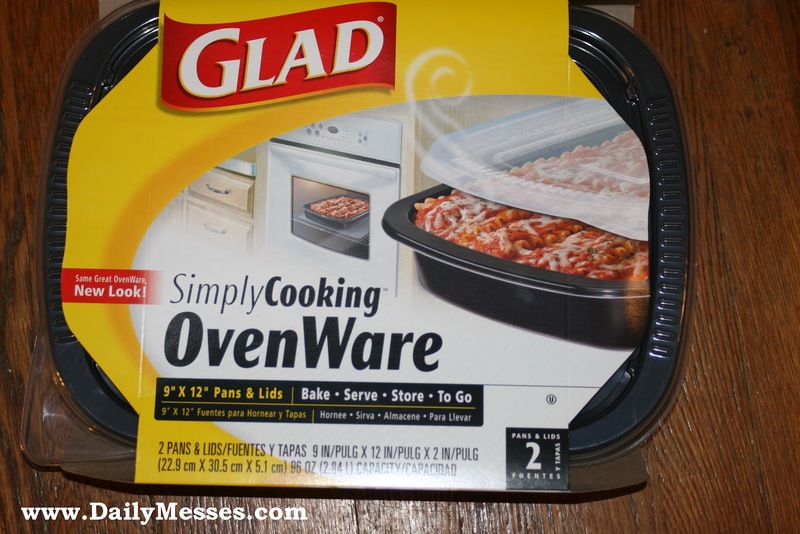 I started using Glad containers, specifically the OvenWare containers to bring the veggies in. They're not expensive (about $5 - $5.35 for a 2 pack) and they come with a lid. If I am using pepperoni and cheese in the veggie tray, I place them in a Ziploc bag in the tray before going to the party. Once I'm there, I take them out of the bag and arrange them. Otherwise, they can get soggy and gross from the moisture in the veggies. I also like to try different things for the dip. 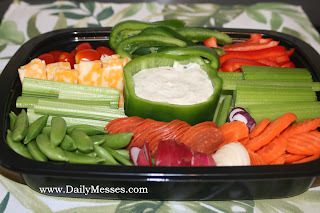 The veggie tray at the top has a pepper bowl of veggie dip. I cut the top of the pepper off and removed the seeds. Before I left for the party, I added the dip! You could also use a cabbage and cut out the middle to create a bowl! 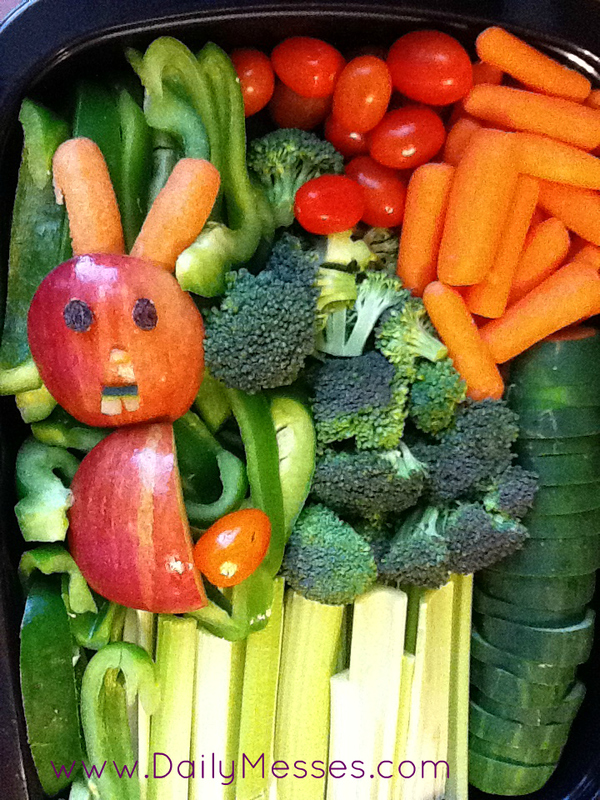 For Easter this year, I made a vegetable tray for the family party. I made a bunny from an apple, carrot slices, and raisins for eyes. I cut two small teeth from a cucumber and added a grape tomato for the tail. For Halloween, Thanksgiving, or a fall get together, use a small hollowed out pie pumpkin for the vegetable dip bowl. 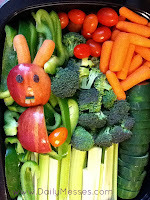 There are so many different ways to make your veggie tray stand out and to customize it for your event! Have fun with it!